Testimonials by Medical Professionals using a whole fruit Mangosteen juice in their practices with much success. Contact me here. The Mangosteen’s benefits spans a wide range of effects: anti-inflammatory (stronger than indomethacin), anti-microbial (against viruses, bacteria and fungi), anti-tumour (tested successfully against six chemotherapy agents), anti-aging, anti-fatigue, potent antioxidant effect, anti-atherosclerotic, antihistamine, and the list goes on! Amod Tootla, M.D., F.A.C.S., F.I.C.S. is a world-renowned, board certified cancer surgeon and leading scientist. Named one of the top surgeons in the United States by the Consumer Research Council of America in Washington, DC for the last five years, he has also been named by Cambridge University as one of the top 2000 scientist in the world for the 21st Century. Dr. Tootla is licensed to practice in 20 different countries and has the distinction of having introduced robotic surgery in the United States. He is a pioneer of laparoscopic colon surgery and has published numerous papers in the most prestigious medical journals in the world, including the New England Journal of Medicine. Dr Tootla was the first surgeon to do surgery over the internet – from Michigan to Buenas Aires in Argentina – as reported on the front page of the Wall Street Journal. He was the first surgeon to use radio frequency abalation for primary and metastatic liver cancer. 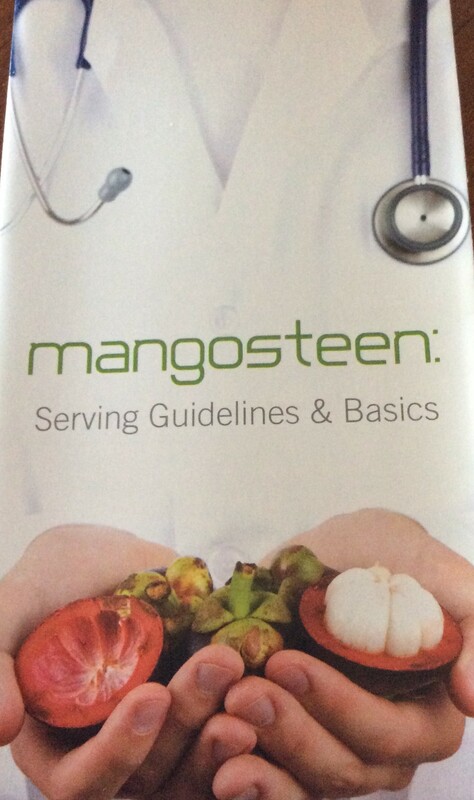 Dr. Tootla has used Mangosteen Juice with over 1800 of his patients. Testimony by Amod S. Tootla, MD, Colorectal surgeon specialising in colon cancer. “I am an active tennis player and skier and injured my left knee twice from skiing accidents. After I was done taking my third bottle of mangosteen juice, all of my pain was gone. I had no problem playing three or four sets of tennis, when in prior months one set wore me out. I decided to research what this juice was all about. I researched materials from http://www.ncbi.nlm.nih.gov/sites/entrez/ and studied xanthones. Vaughn T. Johnson, D.O. is a board certified family medicine physician. He has been practicing for over 10 years, and offers a wide range of medical services including pediatrics, obstetrics and sports medicine. In addition, Dr. Johnson serves as an associate professor of family medicine at several medical schools. Dr. Johnson explains how drinking a natural food supplement like Mangosteen juice each day may affect many modern, debilitating disorders like autism, ADHD, depression, chronic fatigue syndrome, Acid Reflux, Allergies, Alzheimer’s Disease, Aspartame detoxify, Asthma, Autism, Autoimmune Disorders, B-vitamins, & liquid B-vitamins deficiency, insomnia, and senility. Dr. Albert Miller M.D. received his medical degree from the University of Cincinnati College of Medicine. After completing a surgical internship at Huron Road Hospital in Cleveland, he returned to the University of Cincinnati where he completed his residency in Family Practice. Dr. Miller has maintained his board certification in Family Practice since 1988. After completing his residency training in 1988, Dr. Miller started his practice in Family Medicine with Dr. Roy Miller in Millersburg, Ohio. A year later he moved his practice to Wooster, Ohio where he continues to practice today. Dr. Miller has always had an interest in Alternative and Complimentary Medicine such as the Mangosteen and incorporated this with his traditional Family Practice. It was an article from the European medical literature in 1995 that first inspired Dr. Miller’s interest in Anti-Aging Medicine. It was then that he started incorporating some of the anti-aging modalities into his practice style. Dr. Miller’s first anti aging patient was his father-in-law. This began an educational process which included conferences, seminars, literature, text books, and clinical training, resulting in board certification in Anti-Aging Medicine in 2000. This educational process continues today and will continue for the rest of Dr. Miller’s professional practice. “I first started to research mangosteen in October 2004. I had not heard of mangosteen or xanthones before, so I was excited to begin the research. I went to Medscape (an online resource for physicians at http://www.medscape.com/home ) and did a Medline search on both xanthones an mangosteen and was surprised at what I found. There were, in fact, over one thousand articles on xanthones and twenty some on mangosteen. Researchers have identified more than 65 xanthones in the mangosteen fruit, most of which are in the thick pericarp, or peel. Anti-tumour action, and in some cases, even apoptosis (tumour cell death). I decided that mangosteen juice would have a place in my practice. I began using the juice myself, and I prescribed a select group of patients to use it as well. If the results warranted it, and as the science and my clinical experience directed me, I would expand my recommendation of mangosteen. For my initial trial, five of my patients along with my wife and I began using mangosteen juice; and the results were amazing. I was most impressed with the anti-inflammatory effects; decreased joint swelling and pain reduction that we saw during our first month. Subsequently, I started recommending mangosteen for a variety of symptoms and diseases. Auto-immune diseases like rheumatoid arthritis, lupus and psoriasis showed remarkable clinical improvement. Chronic skin conditions such as eczema and dermatitis improved in most patients, totally eliminating the need for use of topical steroids in many cases. Males with benign prostate hypertrophy reported reduction in nocturia – the number of times they get up at night to urinate. Osteoarthritis pain and fibromyalgia symptoms did not completely resolve for most patients, but showed a marked improvement. “Mangosteen juice is more than unique. I took a long, hard look at it. If you knew what I knew you would never leave home without your mangosteen juice. Antioxidants are the real keys to the future in treating disease. Many medications today are still derived from natural components. When you look at mangosteen, it has so many natural properties to it. And the proof of its efficacy isn’t just anecdotal. Medical faculties all over the world have research that shows mangosteen contains elements that literally help to correct many diseases that occur today. Mangosteen is an antioxidant. The rind itself contains xanthones which are irreplaceable, powerful & unique. SEE HOW MANGOSTEEN STACKS UP! Boost your energy! Mangosteen’s ability to fight fatigue is one of its most sought-after benefits. “[Mangosteen] predictably and reliably provides a safe boost of energy. Fight inflammation! Chronic inflammation can lead to cancer, arthritis, Alzheimer’s disease, type II diabetes, heart disease and other deadly diseases. Xanthones in mangosteen naturally fight inflammation at the cellular level by inhibiting COX-2 enzymes. Manage your weight! The xanthones in mangosteen act to make our cells soft, permeable and able to quickly convert the food we eat into energy. This makes us feel better and helps us lose weight at the same time. Reduce and prevent pain! Mangosteen’s pain-relieving benefits are helping people everywhere. “I was able to stop using Percocet preparations and heavy doses of anti-inflammatory drugs with which I had been partially controlling the pain of degenerative disk disease in my neck for years. I am now pain-free,” shares Dr. J. Frederic Templeman. Prevent heart disease! Heart disease and arteriosclerosis occur when the elasticity of vessels surrounding the heart is lost. Mangosteen helps to fortify this system of vessels through its antimicrobial and antioxidant effects. When these vessels are healthy and strong, the risk of heart disease decreases. Reduce hypertension! Hypertension (elevated blood pressure) is one of the leading causes of arteriosclerosis. Mangosteen has proven effective, especially in those with normal body weight, to lower blood pressure and prevent the onset of pulmonary hypertension. Improve your stomach condition! One of the effects of aging is the natural decline in stomach acid. This leads to increased bacteria in the stomach and causes diarrhea, cramping, gas and mal-absorption of nutrients. Xanthones in mangosteen have proven to kill this overgrowth of bacteria to improve and restore balance in the stomach. Improve urinary tract health! Incontinence for women is caused by the natural decline of muscle tone in the pelvis. This decline in muscle tone reduces the bladder’s ability to completely empty itself. As men age, the prostate naturally enlarges, which narrows the urethra and causes some urine to remain in the bladder after urination. Mend and women with this condition often experience infection because of retained bacteria in urine that has not been eliminated. The xanthones in mangosteen have a proven, natural antibacterial effect. Eliminate bad breath! An amazing “side effect” of the bacteria-killing xanthones present in mangosteen is their ability to stave off bad breath. Ease asthma! Asthma is an inflammatory disease of the respiratory system. Mangosteen is an ideal alternative to undesirable asthma medications because of its ability to fight infection, inhibit inflammation and reduce allergic triggers — naturally! 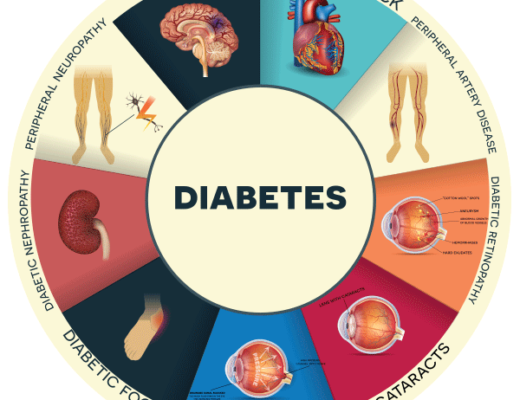 Manage your diabetes! With the ability to lower and regulate blood sugar, decrease appetite, improve energy levels and decrease the need for hypoglycemic medications, mangosteen may be an answer for diabetes. Improve mental awareness! Oxidative damage to the brain is a significant cause of dementia. Alzheimer’s, Parkinson’s and other central nervous system diseases. Because mangosteen is one of the best antioxidant foods it can be effective in preventing mental degeneration. Plus, mangosteen has been shown to improve mental acuity. Alleviate allergies! Mangosteen is highly sought after for its natural antihistamine and antiinflammatory effects without causing the undesirable drowsiness that is so characteristic of my allergy medications. Increase your feeling of well-being! Tryptophan – an essential amino acid – may be enhanced by daily servings of mangosteen. Tryptophan is directly related to serotonin, which is responsible for sleep, moods and appetite. Improve your skin! Skin disorders such as eczema, dermatitis, acne, psoriasis and rashes are commonly treated with steroids and anti-fungal creams. Applied topically, mangosteen has proven to fight these skin conditions naturally and without harmful drugs or side effects. Prevent eye problems! Cataracts and glaucoma are the result of radiation damage to the lens proteins in the eye. These conditions can be prevented by avoiding sun exposure and by supplementing with effective antioxidants such as those contained in mangosteen. Have a healthier mouth! The astringent power and antimicrobial effects that have been demonstrated by mangosteen help promote a health mouth and gums. Lower cholesterol! When low-density liproprotein (LDL or “bad” cholesterol) is oxidized in the bloodstream and arteries, fibrous plaques form. Studies have shown that xanthones reduce the oxidation of LDL, which prevents these dangerous plaques from forming. Help prevent kidney stones! Kidney stones are common, particularly in men. When men first use mangosteen in amounts of 3 ounces or more, many urinate frequently during the following 24 hours. This diuretic effect is helpful with prevention or passing of kidney stones. Reduce the effects of aging! Mangosteen may help prevent and fight many effects of aging: Mental degeneration, gastrointestinal distress, arthritis, muscle and joint pain, and eye degeneration. Prevent or shorten viral infections! Mangosteen has shown a remarkable ability, when consumed in large amounts at the onset of a viral infection, to speed up the body’s processes and heal viral infections more quickly. When taken as a daily supplement, mangosteen has also proven effective in preventing viral infections altogether. Improve digestion! The rind of the mangosteen is mostly made up of fibre. Fibre pushes waste through the colon more rapidly, preventing constipation and possible colon cancer. Fibre can also keep cholesterol in check by removing harmful bile acids. My personal choice of Mangosteen juice Shopping Carts .. Make your choice, delete the rest! I am a naturopathic doctor and have been a student of natural health for more than 30 years. In those 30 years I have been introduced to hundreds of supplements but none are as impressive as the juice made from the whole mangosteen fruit. When I was first introduced to this juice I dismissed it as just another supplement that couldn’t possibly live up to its expectations. After being told about it over and over I began doing my own research, after one year I embraced it wholeheartedly. Along with changes to diet and lifestyle, supplementation is the answer to many health issues, and in my opinion, mangosteen juice should be on everyone’s list of daily supplements. I have had chronic lower back pain since 1998 when I ruptured a disk in my lumbar vertebrae. When I drink my daily ounces of mangosteen juice with each meal and before bed my symptoms disappear. Our personal doctor was after my husband to take medication for his cholesterol but I convinced him to start drinking the mangosteen juice and his cholesterol came down to normal levels naturally without medication. The pericarp of the mangosteen fruit contains biologically active molecules called xanthones that are highly anti-fungal as well as anti-inflammatory. This is the number one reason why any mangosteen juice that is used as a supplement must contain the whole fruit, including the rind. That is what makes it so powerful and efficacious. I was in severe pain and began using a number of traditional western medications, including COX-2 inhibitors. After three months, I developed a gastric ulcer and my hemoglobin dropped to a level of six, thus requiring admission to the Intensive Care unit, endoscopic surgery and transfusion. One of my patients with ovarian cancer Was being treated with chemotherapy and was doing extremely well. She was also drinking mangosteen juice. She told me to drink three onces a day. After three days, I could honestly feel a difference. I was at a point that pain would wake me up as I rolled over in bed at night. Now I sleep through the night and rather than waking up in the morning with stiff joints, I get out of bed and feel great. I have since canceled my disability application and now look forward to many more years of treating cancer patients. Try it! I have had problems with irritable bowel syndrome 14 for almost 10 years, but in the last few years it has become a lot worse. I started drinking mangosteen juice in March and I was amazed at the difference I saw within 48 hours. I no longer had intestinal bloating, my stomach had settled down and I was beginning to have less diarrhea. I don’t know what I would do without the mangosteen beverage because it has helped me so much. I was at a point that I was not able to eat anything in the morning before I went out for the day. I would sip on juice and water because I was not able to eat anything without suffering from diarrhea and cramps. This juice has made a tremendous difference in my life. It has given me a new lease on life. I have a lot more energy I don’t tire as easily and I am sleeping better. In 1989 I was in a very serious accident while bicycle racing. I had severe facial injuries and fractures, and I fractured my cervical spine and lower back. It is a miracle I’m not a quadriplegic today. I started having problems with severe, traumatic arthritis and compression syndrome in my back. It had become so painful that I needed to take Celebrex and Vioxx for the pain. I also had to take some narcotics at night because the pain was so severe I couldn’t sleep. I was going to have surgery on my back to decompress it, but then a friend of mine called and told me about the launch of mangosteen juice. I began drinking three ounces twice a day. After the first week, I didn’t have to take the narcotics at night. After another week, I didn’t have to use any medications because I was completely pain free. 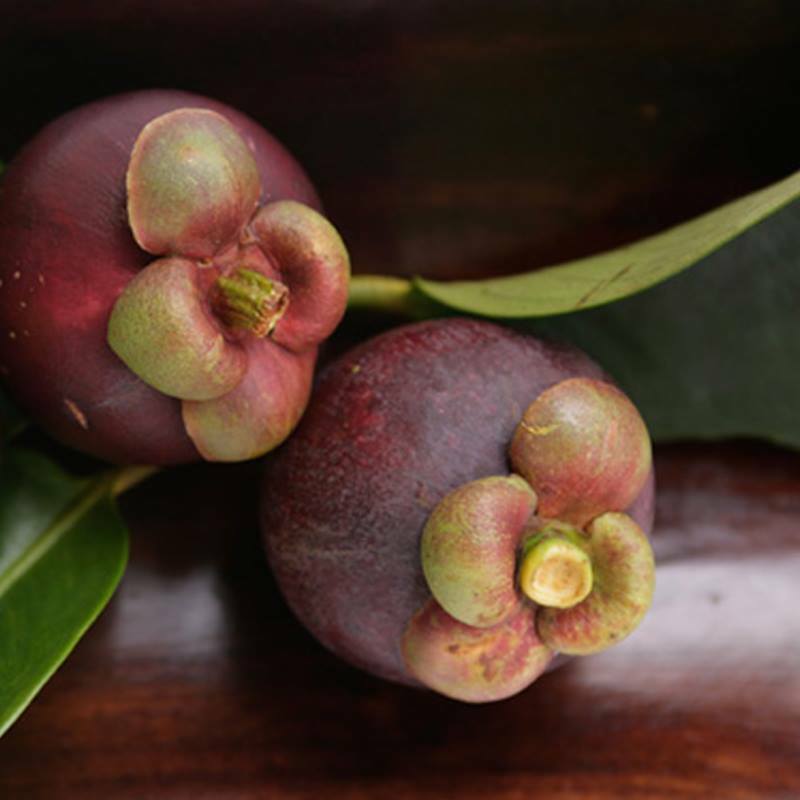 Because of my healing experience, I started researching the mangosteen fruit and sharing it with my patients as a complement to standard medication. Many patients have been able to taper their medications while on mangosteen juice. After studying decades of research, I believe the antioxidant and anti-inflammatory properties of the mangosteen represent the single greatest step we can take to help prevent the five major diseases: heart disease, cancer, stroke, lung disease and diabetes. My path to the mangosteen begins way back in my youth. After one particularly successful swimming meet, the losing team ‘celebrated’ by throwing everyone into th pool. One of my opponents landed directly on my head while I was standing straight up. The damage to my neck and upper back has haunted me every day since. I was 14 at the time. Aspirin was the only medication available for my pain, and I used it a lot, every day. Within a year, I had developed the ‘side-effect’ of stomach irritation (gastritis) and burning in my esophagus (reflux). These conditions are now known as gastroesophageal reflux disease, or GERD. For the next decade, I could not find a medication, supplement or substance that would decrease my constant stomach pain. Over the years since, I have taken the highest dose of the strongest stomach medications available. I had some improvement on these medications, but I was a slave to them and still in misery. Then a friend introduced me to mangosteen. After eight days of drinking 1.5 ounces of mangosteen juice each morning, I didn’t have to take any pills at night before bed. Eight months have now passed without being chained to medication, and without risking the hundreds of side effects each of the drugs. Eight months with complete remission of my symptoms, for the first time in 25 years. Two out of every three of us will die from one of the top five fatal disease. We now know that free radical damage and chronic inflammation underlie each of these diseases. With the powerful antioxidant and anti-inflammatory properties of the xanthones in the mangosteen, I believe I am actively decreasing my chance of contracting one of these diseases. For years I would awake early in the morning with headaches,sometimes as often as three times a week. I would take to Fiorinal tablets and then go back to sleep so I wouldn’t have to go to work with the pain. Since using mangosteen juice, I no longer have those terrible headaches, and I sleep through the night. My wife Sandi suffers from migraine headaches so severe that she would be incapacitated for up to three days at a time. The migraine headaches came too regularly and too often. She also started using mangosteen juice and immediately the length of time between headaches increased to more than five weeks. Mangosteen works! In 1981, while surfing in Hawaii, I broke my back in four areas. Over the last 20 years through chiropractic care, I have been able to lead a fairly normal life. However, the pain has increased because spurring has advanced and degeneration has occurred in certain areas of the spine. Then I learned about mangosteen juice. I was given an ounce of the juice, and that was the beginning of my major change in my health, my life and my career. I have implemented this product in my clinic and recommended its use to my patients with incredible results. Never have I encountered a natural fruit so powerful. Because of the amazing results I have had with mangosteen, I am now drug free and virtually pain free for the first time in 21 years. The research I have performed on this product has led me to believe that it can turn around chronic conditions of inflammation in the cells of the body. It is also my finding that mangosteen is the perfect ailment preventive. And in the chiropractic world, prevention is the key goal in health care. Gopalakrishnan G., Banumathi B,. Suresh G. (1997, May) “Evaluation of the Antifungal Activity of Natural Xanthones from Garcinia Mangostana and Their Synthetic Derivatives,” J Nat Prod; 60 (5):519-24. Williams P., Ongaskul M., Proudfoot J., Croft K., Beilin L. (1995 Aug.) “Mangostin Inhibits the Oxidative Modification of Human Low Density Lipoprotein,” Free Radic Res ;23(2):175-84. Krishnapilly B., Marzalina M. and Hairs Mohd. (1993) “Seeds and Fruits of Some Common Tropical Species Used as Medicine by Folk Healers,” Bulletin FRIM, 3(2):9-11. Mahabusarakam et al., (2000) “Inhibition of Lipoprotein Oxidation by Prenylated Xanthones Derived from Mangostin,” Free Rad. Res. 33: pp. 643-59 (2000). 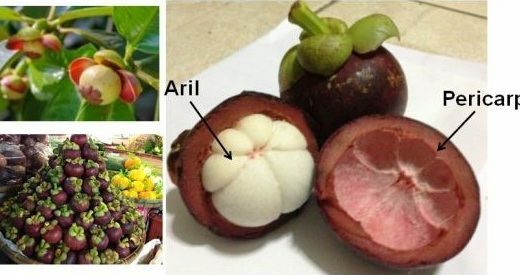 Yoshikawa M, Harada E, Miki A, Tsukamoto K, Liang S, Yamahara N, Murakami N. (1994) “Antioxidant Constituents From the Fruit Hulls of Mangosteen (Garcinia Mangostana L.) Originating in Vietnam.” Yakugaku Zasshi. 114:129-133. Disclaimer required by law: FDA regulations prohibit the use of therapeutic or medical claims in conjunction with the sale of any product not approved by the FDA. This document is for informational and educational purposes only. Information contained herein is NOT intended to be take as medical advice. Testimonials are given by persons who want to share their personal experiences and are provided solely for informational purposes. No therapeutic or medical claims are either implied or made. DO NOT INITIATE OR ALTER ANY MEDICAL TREATMENT WITHOUT THE PERMISSION OF YOUR HEALTH CARE PROVIDER.